Andreas and Joel Pereira are set to sit down with their agent in Miami this week to discuss what their plans are for the 2018-19 season. 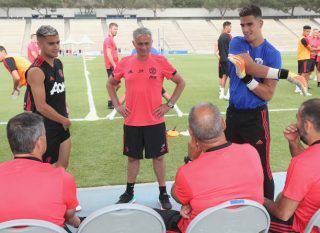 Joel Pereira has got plenty of game time on tour with Manchester United, though it’s a huge ask to expect the young Portuguese goalkeeper to compete with David de Gea and Sergio Romero next season. Lee Grant has arrived from Stoke City to take up the third-choice spot and sounds happy enough to do so. On the other hand, we have Andreas Pereira, who has returned from his season-long loan spell at La Liga giants Valencia. He’s played a big role in the United States and has been one of Mourinho’s better players, along with Alexis Sanchez. Mourinho has already confirmed that Pereira is behind Nemanja Matic, Marouane Fellaini and Scott McTominay in the pecking order which, not only comes as a surprise but should drive the former PSV Eindhoven youth player on. However, the general consensus amongst Reds is that Andreas has done enough to earn a spot in the first-team ahead of the new season. 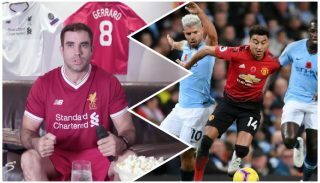 His passing is second to none and United need a player like that to get the ball forward quickly enough to get the best out of the likes of Alexis and Romelu Lukaku. Both players (not brothers) will sit with their agent Kia Joorabchian over the coming days before a final decision is made on their futures.